This app uses three views. One to display the list of shows, a modal view to enter new shows and a view to show and change scores. 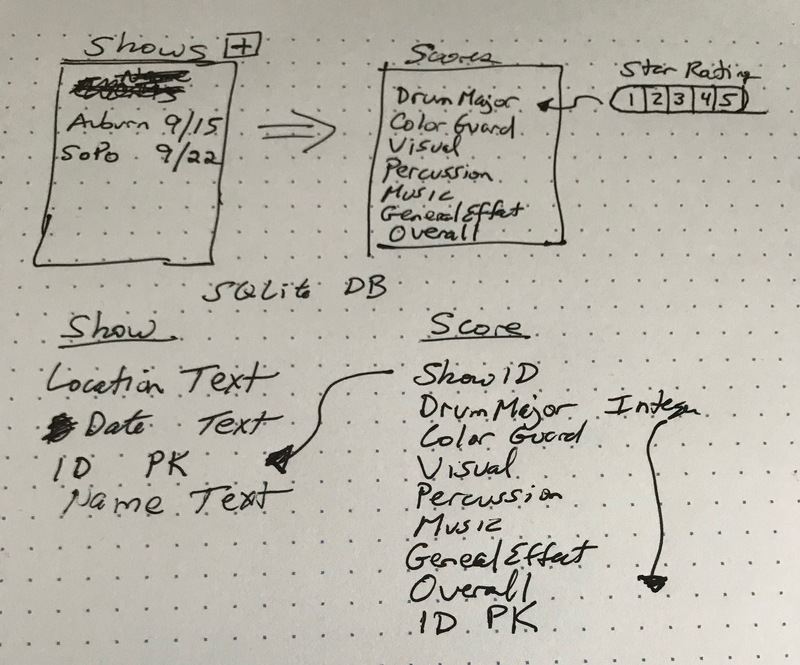 A SQLite database is used to store the shows and scores. I often like to sketch out some ideas beforehand so that design and coding goes a bit quicker. 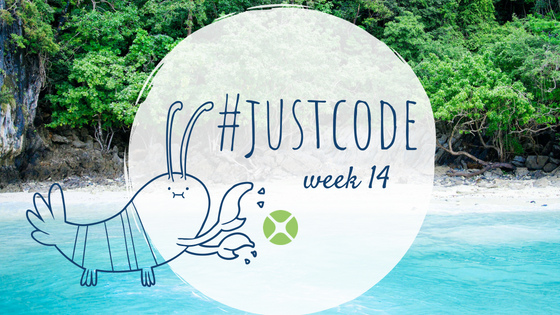 Add your #JustCode project to the week 14 forum conversation. And that’s it! 14 weeks of #JustCode is done! We’re going to take the weekend to review participation and on Monday we’ll announce winners and prizes! We’d like to thank everyone who participated, overall, I think our first #JustCode was a success. We hope to do this again and would appreciate any feedback you may have. Please email Paul and let us know what you liked about the event and where you think it can be improved.